Can you believe that it’s 2019 already? Where has the time gone? By this point in the year, it’s a sad fact that many people who started January determined to keep a New Year’s resolution have already broken it. Whether it was a resolution to go to the gym more, cut out chocolate or simply smile more, sometimes, the January Blues just prove too much for our good intentions. Instead of falling back on the same old resolutions, why not try something a little different this year – something that is guaranteed to make a real difference? 2019 is the perfect time to consider how you can start giving. 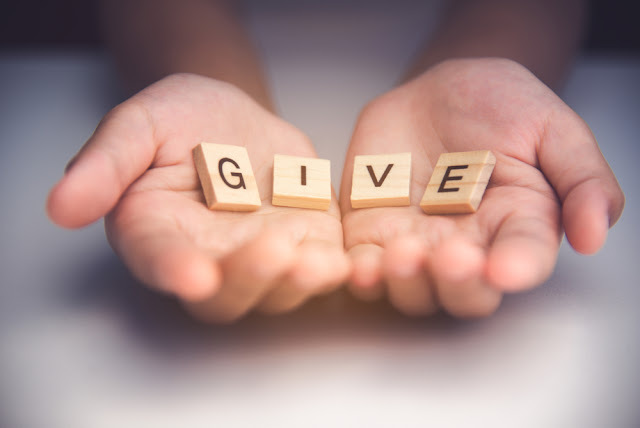 Whether it’s giving back through returning the favour for someone who helped you out of a tight spot or fundraising for a charitable cause that means a lot to you, there are plenty of ways that you can easily incorporate giving into your daily life. Giving doesn’t even have to be just helping strangers, either, as you can set aside some time to spend shopping for an elderly relative or neighbour or volunteer to help out at your child’s favourite club, for example. So, how can you commit to the cause and make 2019 your year of giving? Here are some top tips and ideas to help you get started on your journey to increased generosity! Most communities in the UK run a varied programme of events, ranging from baby and toddler groups through to kid’s clubs, exercise classes, and adult education. The chances are that the organisers of most of these events will be glad for you to give them a helping hand – even something as simple as setting out chairs or tidying a room after a session of messy toddler play will be greatly appreciated! While this may not be such an obvious way to give, equality and inclusivity are essential to the development and improvement of the entire community. For instance, if a new neighbour moves into your street, don’t be a stranger! Welcome them to the neighbourhood and offer a helping hand to see if they could do with any help to get set up in their new home. Similarly, it’s also a good idea to familiarise yourself with the beliefs of those in your community, as well as any religious or cultural traditions, festivals or holidays that may differ from your own. As a quick note, it’s worth remembering that not all significant days will fall on the same date or time each year, particularly with the Islamic calendar. It might be an idea to consult a Ramadan timetable and familiarise yourself with this year’s expected dates and times in order to ensure you’re fully prepared. Giving doesn’t always have to include grand gestures of kindness or spectacular displays of wealth – sometimes, you can help and support others while still going about your daily life. One of the most common ways this can be achieved is through donating your old or unwanted items. This way, you can declutter your home and get a head start on your spring cleaning while giving your old items a new lease of life in someone else’s home! Another great way to give indirectly is to make the change and support more ethical shopping choices when you are completing your weekly grocery shop. It’s important to be mindful of those around you and consider what you can do to help those less fortunate than yourself. After all, it’s never too late to make a positive change and commit to improving the lives of those around you through kindness, generosity, and compassion.